Urban Werks offers Gyeon Q2 Coatings and products because we believe their standards reach ours in terms of quality and performance. 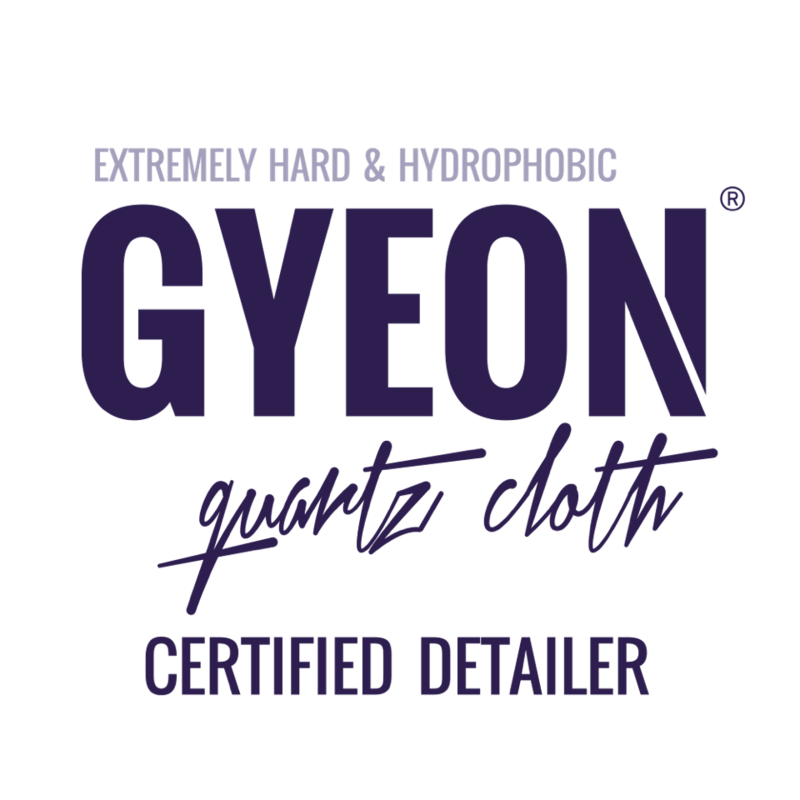 We believe that Gyeon’s Q2 line has some of the best products on the market today. 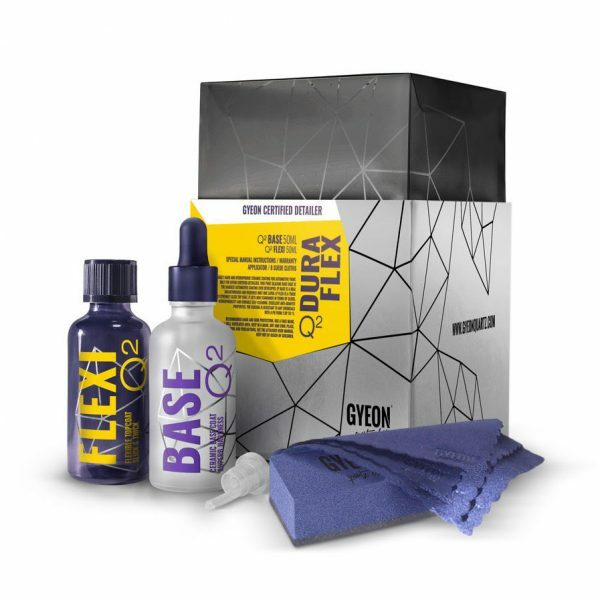 Not only with cutting-edge Ceramic Coatings, but with the full Q2M Maintenance line to help maintain and keep your Gyeon coated vehicle performing as it should. Gyeon CanCoat PRO is a great introduction coating package. With a shorter lifespan and lower price point than other packages, CanCoat PRO will still demonstrate the great water shedding and dirt repelling properties while giving a deep gloss to your paintwork. With a 6-12 month lifespan , CanCoat PRO is the perfect option for those looking to dabble in protection beyond waxes. Gyeon CanCoat PRO certified detailer top coat/top-up coating. Perfect gloss & hydrophobicity booster for all professional line coatings. The easiest way to restore initial properties of Gyeon 5-year coatings. 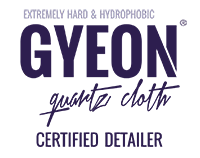 Gyeon Syncro is the combination of Gyeon MOHS and Gyeon SKIN coatings. MOHS acts as a base coat giving the vehicle unpaired protection while SKIN provides extreme gloss and shine and that great self-cleaning effect. A great coating to protect from everyday travels! 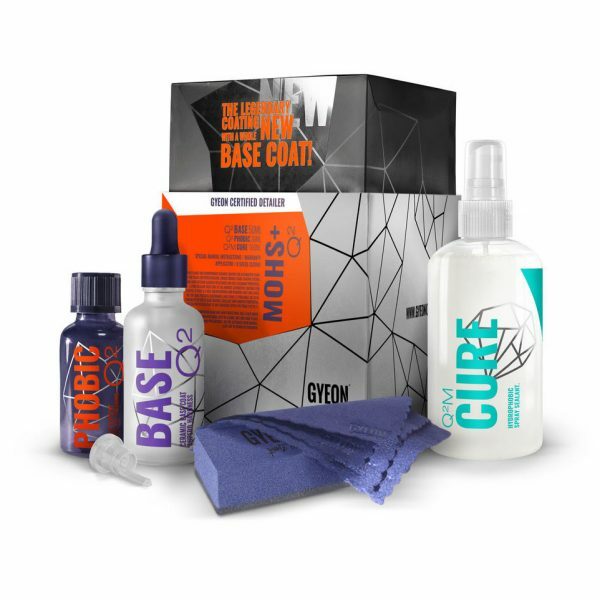 Urban Werks carries the full Gyeon Q2M Maintenance product line in house for your convenience to help ensure the longevity of your Gyeon Coating. Q² DuraBead is an advanced, two-ingredient and multilayer ceramic coating designed to suit the requirements of Gyeon Certified Detailers. Multiple layers of Q² Mohs as the base coat topped with a extremely hydrophobic, flourine based top coat Q² Bead result in incomparable hydrophobicity, self-cleaning and great durability. 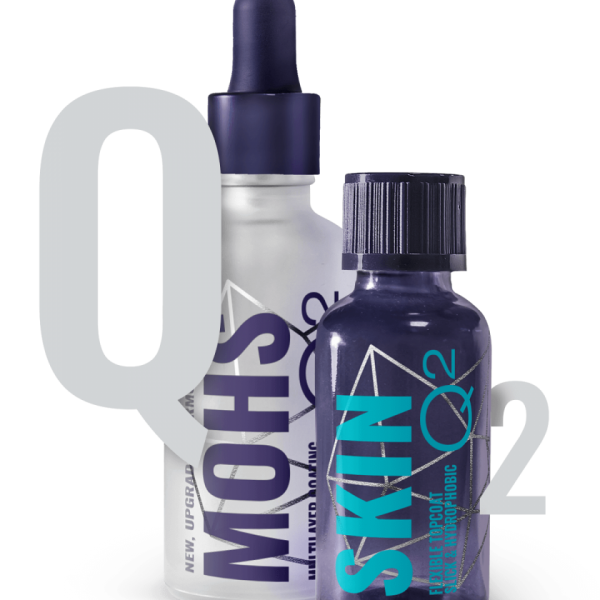 Q² Mohs+ is an unique 2-stage coating system that provides both extreme scratch resistance and self-cleaning properties. A pure silazane base coat is the hardest automotive coating ever developed. The topcoat prevents watermarks and stains, and prolongs the total durability of the Q² Base coating. The end result cannot be overestimated – by implementing safe maintenance procedures, paint correction may be avoided throughout the entire period of use. Ceramic Coatings, also called Glass Coatings or Quartz Coatings, are the most capable form of protection from UV and chemical damages that can be applied to a vehicle. The bonding molecule that provides the protection is SiO2, or Silica Dioxide. A solvent carrier is used to apply the SiO2 to the paint and other surfaces. The solvent evaporates out and leaves the SiO2 behind to cure and bond to the surface. The Coating is then cured with an Infrared Curing Lamp to dry the coating and speed up the curing process. Why are Ceramic Coatings better than Waxes or Sealants? The chemical makeup of ceramic coatings does three very important things differently than that of a wax or sealant. First, it is capable of bonding to the surface underneath for a time frame of years, where we see only a few months out of most waxes or sealants. Secondly, the chemical makeup of the Ceramic Coating is able to withstand penetration of UV and harmful environmental contaminants to keep your paint’s finish from degrading over time due to exposure. Thirdly, the coating produces a highly repellent surface, where dirt and other contaminants are rejected, rather than absorbed into the surface. This keeps the surfaces cleaner longer and makes regular wash maintenance very easy and safe. How long do Ceramic Coatings last? The lifespan of any Ceramic Coating directly depends on how the vehicle is maintained and what type environment the vehicle is in. A vehicle that experiences all of the elements of day-to-day driving will not last quite like your weekend fun car. That being said, any coated vehicle requires adequate maintenance in order for it to reach its full lifespan. We at Urban Werks offer a full line of maintenance product for all coatings we sell. The durability of any Ceramic Coating is directly related to two things. First, how and where the vehicle in question lives its life has a direct impact on the longevity of a coating. Is it a California car that sees perfect weather every day or a Colorado car that will see all four seasons? Is it a weekend warrior or is it a daily driver? The more intense the environment it is exposed to the less durability we can expect. The kinder the environment the more durability we can expect. Secondly, what sort of maintenance does the car receive? All coatings require a bit of maintenance. If the car is kept clean where dirt and contaminant is not able to build up on the surface over several weeks or months and the coating is kept healthy, then we will likely see extended durability. There is no one size fits all and there are no permanent coatings. Are Ceramic Coatings Scratch Proof? Unfortunately there is a hearty amount of irresponsible marketing in the Ceramic Coating world. Coatings are not thick enough, nor hard enough to withstand scratches from, say a dirty wash mitt, a key, or a rock chip. They do produce a slightly harder surface than the paint itself, but not enough to withstand this type of damage. The 9h Hardness measure that is used describes the coating’s “vertical hardness,” or its ability to withstand penetration from UV and chemical damage and keep it from reaching the paints finish. That is what we are asking coatings to do. We coat cars so that they still look good years down the road, and do not suffer from the slow roll of UV and environmental contamination that degrades the finish, much the way we wear sunscreen, moisturizers, and eye cream on our own skin. Where a Coating can play in to scratch resistance is by producing and extremely repellent and slick surface, so that the surface lets go of loose dirt that you would otherwise move across the paint when washing and minimize the friction between the dirt, your wash mitt, and the paint.